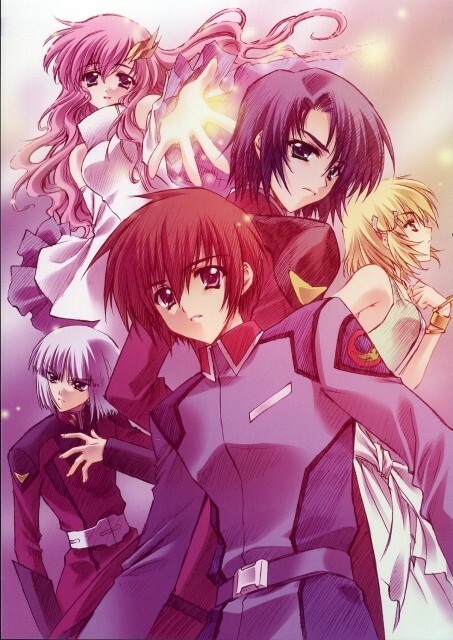 Beautiful art from Carnelian for Gundam Seed Destiny. Oh i really like this one with all of them in it and i just love the way they all look its so pretty. Carnelian's art style blends with Gundam SEED's characters well. Cagalli in particular looks really beautiful, Lacus has her cute look from SEED, and Yzak was added for no particular reason. awesome pic I love it. I just how Lacus looks in it. I tis a perfect pic. I just love Lacus. this is just so awesome! kira & the gang looks just so nice!adding this 2 my faves! This is a verry pretty picture. I have never seen it before, thank you so much for sharing it! Is it from some manga? I want it too! Why haven't big animation studios hired her as a character designer? this is very interesting! I love to see my fav charas drawn in different styles! Carbelian did a good job on this artwork, I liked it a lot! The colros are very dramatic, just pretty! Thanks for sharing! ::favs:: I like it! 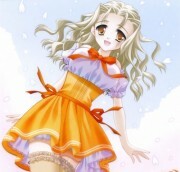 ^^ It's a pretty style. This picture is rele pretty. I like the color and how it matches it well. -^^- I'm so happy u put it up here. >_< I was wondering is that from a doushinji? Because it looks like it is. What a cute and wonderful pic. Hmm... why is Yzak there? Wasn't this suppose to be a couple scan? WEll, it's still good. THANK U 4 SHARING THI\S! wow! this scan looks absolutely beautiful! *__* dear athrun looks so good there! wow. this is so beautiful. the way this is done of different from most other art forms i have seen. i like it this way. it is so mesmorizing and spell-binding. thank you so much for sharing this scan.